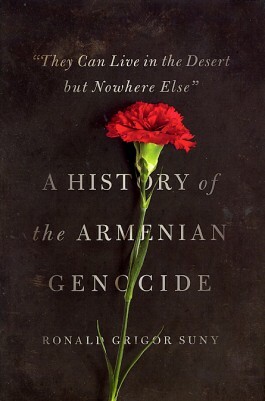 "They Can Live in the Desert but Nowhere Else"
Starting in early 1915, the Ottoman Turks began deporting and killing hundreds of thousands of Armenians in the first major genocide of the twentieth century. By the end of the First World War, the number of Armenians in what would become Turkey had been reduced by ninety percent—more than a million people. A century later, the Armenian Genocide remains controversial but relatively unknown, overshadowed by later slaughters and the chasm separating Turkish and Armenian versions of events. In this definitive narrative history, Ronald Suny cuts through nationalist myths, propaganda, and denial to provide an unmatched account of when, how, and why the atrocities of 1915–16 were committed. As it lost territory during the war, the Ottoman Empire was becoming a more homogenous Turkic-Muslim state, but it still contained large non-Muslim communities, including the Christian Armenians. The Young Turk leaders of the empire believed that the Armenians were internal enemies secretly allied to Russia and plotting to win an independent state. Suny shows that the great majority of Armenians were in truth loyal subjects who wanted to remain in the empire. But the Young Turks, steeped in imperial anxiety and anti-Armenian bias, became convinced that the survival of the state depended on the elimination of the Armenians. Suny is the first to explore the psychological factors as well as the international and domestic events that helped lead to genocide. Drawing on archival documents and eyewitness accounts, this is an unforgettable chronicle of a cataclysm that set a tragic pattern for a century of genocide and crimes against humanity. You're reviewing: "They Can Live in the Desert but Nowhere Else"